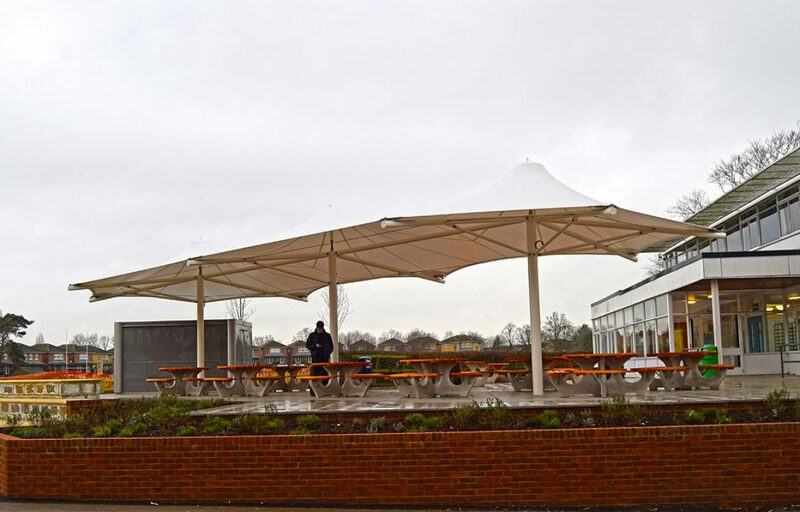 This 144m2 triple conic tensile fabric structure establishes a place for students to dine and socialise while also creating an architectural statement next to the school building. 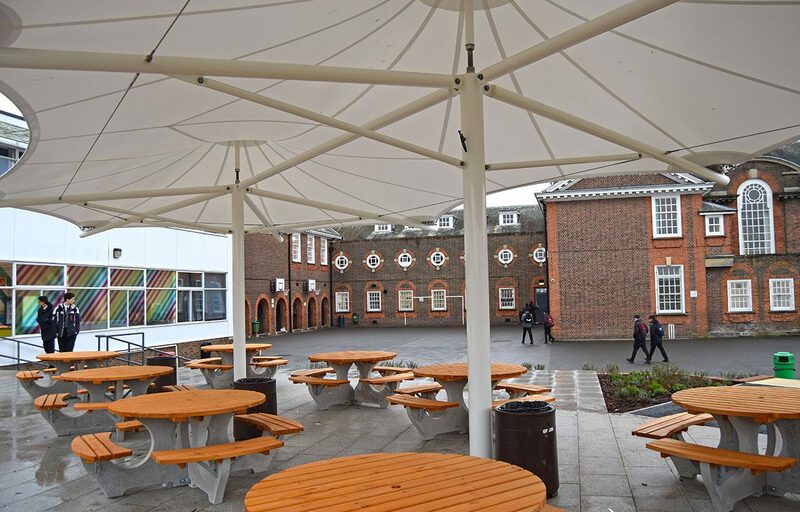 The canopy provides an effortless transformation from an otherwise bland landscape to an aesthetically pleasing space for staff and students. 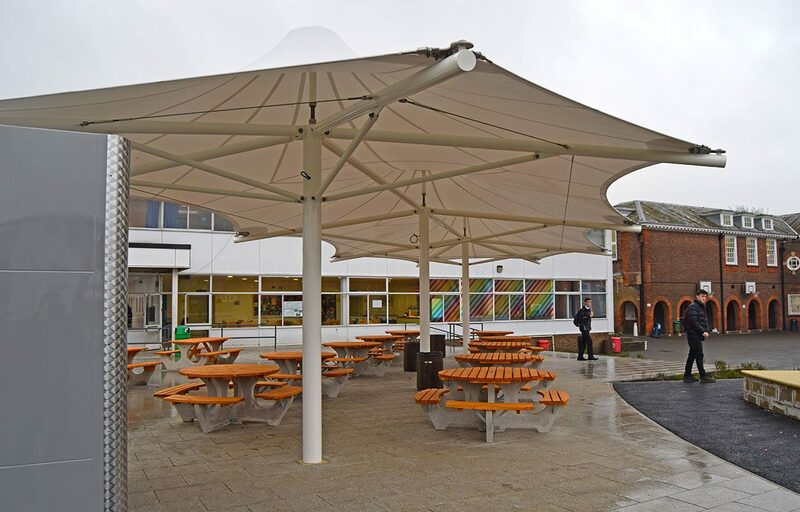 Our pre-designed tensile fabric structures combine architectural flair with affordability. 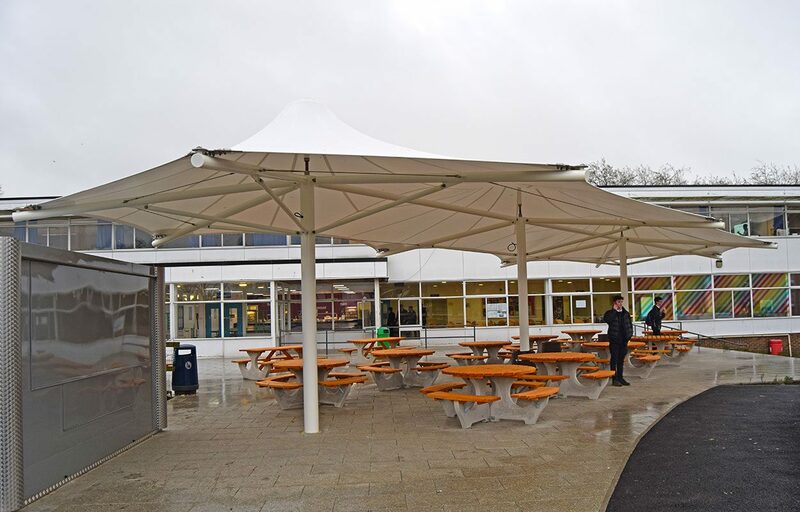 All canopies in this range have high quality roof coverings that are 100% waterproof, highly durable and offer high UV protection.